A question I've been asked before is, "Why did you choose to be a teacher?" There are many standard, politically correct, or even true (but politically correct) answers to this question. Some will say that it's a calling (yes, it is); some will say it's for the children (yes, of course); some will say it's a useful job or an honourable profession (yes, yes). I think all these are true to some extent for most teachers — and if not true, they ought to be. One of the most haunting passages of the Bible is the conversation (of sorts) which takes place in the twenty-first chapter of the book of the prophet Isaiah. Verses 11 and 12 say: "He calls to me out of Seir, 'Watchman, what of the night? Watchman, what of the night?' The watchman said, 'The morning comes, but also the night; if you would ask, ask: return again to me.'" True, teaching is a spiritual gift, according to the Bible; true, there is much about teaching in that greatest of books. But of all the verses in it, this is the verse which speaks most to me of my calling. For the teacher is part of what makes an apostle, part of what makes a leader, part of what makes a guardian — but most of all, some teachers are called to be watchmen. The watchman stands alone, alert in his distant tower, in the middle of mountains and wastes. He can be taken by the ambush of sleep, or by bandits even if he can see them coming. The watchman is the first to see the dawn, and the first to note the onrushing fall of night. And he watches unrewarded over the people of his land. Some day, they will recover his hacked and scattered bones; some day, a new watchman will rise up in his place. I must spend my gift while I have time to do so. There is nothing that should make me keep it only to myself. For all the lives I have touched which have burned brighter for it, I am glad — and for the lives I have tarnished unknowingly, I feel sadness and regret. I will remain true to my calling because I must, and while I still can. Thrones and dominations are not for me; better to be a watchman, staring across the desert at the horizon and the tidings it might bear. In honour of the purchase of my 6500th book (incidentally, a folio edition of the absolutely surreal The Third Policeman by Flann O'Brien), I hereby present an interesting resource for those who, like me, are occasionally tempted into that dark art of literary analysis. It is also here that I must introduce Sue. Sue is a very old friend of mine. She has known me longer than I have been a reasoning human being, and is occasionally tickled by that fact. She is deathly afraid of termites, having more books than I, and has a morbid interest in rare diseases. She is the elder sister I never had, and she is the person who spends the most time discussing peculiar literary phenomena with me. What's unique about her is that she has a singularly fiendish ability to activate the higher analytical centres of my brain. It always begins innocently. "My child, have you a few minutes for your dear old Susan?" I almost always say yes, especially when taken by surprise. The next line will then be something like, "If Apollo and Dionysus are symbolic opposites, can you think of Hermes as a third point of a triangle?" My brain struggles for a second or two, shuts down and reboots. This sometimes has spectacular consequences, especially if I have just woken up and tried to stand up. Once in a while it leads to a particularly odd and provocative lecture, either delivered by her to her university literature class or by me to whatever class is unfortunate on the next occasion. Some of my students will understand this phenomenon, as I have invited her to speak at my school before. Some of her students will understand this even better, as they get her more than once in a row. Life is richer for people like her. So are bookstores. Guy Kawasaki doesn't know me. Sadly, I don't know him personally either. One of his latest articles is called Ten Things to Learn This School Year. It will tell you a lot about work and why we're often so bad at it. Enjoy. What if the biologists are right, and the X chromosome preceded the Y? Who was Lilith? Why is the Jewish mind so complicated? And what was the real story of the Fall? Does it matter? This is an incomplete tale. Someone else might want to finish it. He laughed. It made my hair stand; looking back over my long existence, if anything has ever made me as afraid, such a thing is nowhere near that laugh. He had already chosen his words carefully, and I hadn’t noticed. Then he told me about the Tree of Life and the Tree of Knowledge. It was a large garden we were in, and I had free run of it. There were restrictions on those trees though, and he was quite clear about those restrictions. I’ve never liked restrictions, and he knew this. He knew everything. He looked very distant. I shielded my eyes and tried to look through the glare into his. I didn’t understand his expression then; now I know it was something close to sadness. He can look sad, you know — and when he does, it’s worse than anything Man can feel. He said, “You’ll find out.” And he walked away. He liked to chat with me. I didn’t mind just sitting around and listening; he had a marvellous voice whenever he chose to use it. He would ask questions, and although I sensed he had the answers, I always felt that he really wanted to hear me talk. I obliged, and asked a few questions of my own. There were some questions he wouldn’t answer, and I got rather frustrated. One day I refused to talk to him. He knew it was coming, of course, but he was sad anyway. That made me feel bad, but I persevered. I’m good at that: when he made me, he made me well. He sighed after a while. I looked away, and when I looked back, he was gone. Feeling a little unsettled, I curled up and went to sleep. When I awoke, he was sitting in front of me. “I’ve been meaning to tell you about this for some time,” he began. I was alert in a flash. He never sounds this evasive, because he doesn’t really have anything to hide. He just either tells or fails to tell. This was something new, and it disconcerted me. We didn’t get along very well. The other creature was a little clumsy, and its hair was far less beautiful than mine. It was less graceful, more prone to obsession, fascinated with its own intelligence, and very sure of itself. I avoided it, and it didn’t seem to notice. I tried affection. It seemed to like that, but it wasn’t very good at reciprocating. When he came by a few days later, I told him what I thought about the new creature. He sighed, but this time, he stayed. He looked at me with the Look. It’s the one he uses when he is trying to show you that he is really on your side, but that he knows infinitely more than you do, and you should just have a bit of faith and do whatever it is he would prefer you to do. I’ve always been a cynic by nature, but the Look tends to persuade me to be idealistic for a while. I should have listened more carefully. As he made his way out of the garden, his aura dimming and then fading with the rest of him, I wondered how far free will extended. From experiment, I knew that sheer willpower could not overcome gravity (although you could avoid some of its possible effects with enough skill), could not overcome fatigue (although you could fight it for a while), and could not overcome hunger (although you could probably die trying). In the next few days, I was to find out what else willpower was insufficient for. For the moment, however, I resolved to be skilful, sleep a lot, and eat wisely. And what if I were to tell you that the narrator was not human? What would you think the true story was then? I fold my arms and rest, secure in the knowledge that if this is a revelation, nobody would believe it; and if this is a dream, I am the only one who has dreamt it. This isn't a new concept. Financial planners use it to describe a strategy aimed at minimising the risk of loss when investing. It entails buying into several areas chosen to offset each other. Here's a simplified example. Let's say a large war is about to erupt. Then some stocks ('war' stocks like orange juice, oil, pork bellies, steel, plastics) will go up, while some ('peace' stocks like air travel, holiday chalets) will go down. You buy into both so that losses in one will be offset by gains in the other category, should peace (or war) fail to materialise. However, I propose the thesis that defensive diversification also applies to education systems. It is of course, already a strategy in biology (genetic diversification) but it is not used consciously there (except by eugenicists, who are all a bit warped, in my opinion). In education, a major problem really is one of, "What should be taught?" in response to, "What will society need?" It is a predictive problem, made increasingly harder by the rate at which things change in the world around us, and made increasingly chaotic by globalisation (in all its many forms). At the rate things change, by the time students graduate, specific skills may have become redundant. Yet, because of the investment a government or institution has put into them, such redundant skills will still be taught. Then again, who's to say what is redundant — or more exactly, what will become redundant? Defensive diversification takes care of that. If any skill and every skill retains skilled practitioners or (at the very least) knowledgeable theoreticians, then that skill always remains available to a society, regardless of how useful it is. There's one catch. In this age, economics and politics may intervene to almost completely eliminate something perceived to have little or no value (for example, teaching of grammar in secondary schools). Before you know it, most of the skilled practitioners are dead and so are their students. And hardly anyone is left to teach it when it becomes obvious that languages need grammars in order to use their best features. Diversification doesn't help when the stock is not to be had. The faster (or more chaotic, or more random) the defensive diversification process — i.e. the more creative and extensive it is in its diversity — the more useful it is in making sure that skills are retained in some form. That is why semi-closed semi-centralised societies wake up in the new millennium covered in cold sweat, as the imminent future sounds clanging alarms throughout the world. Or maybe, the immanent future sounds changing alarms. Either way, it will be exciting. And there's more to come. I will never be as happy as I was then. I am never as happy as I will be. I am always happy, but sometimes more so. It is a peaceful place now. 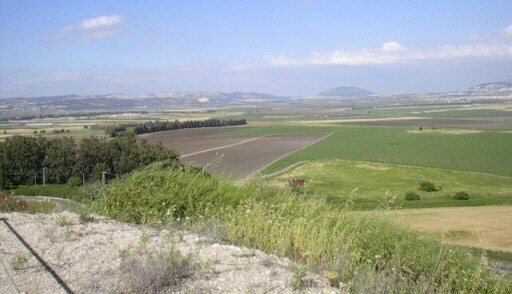 The fields spread far and wide below the fortress on the hill of Megiddo, where King Ahab of old had his stables. Har-Megiddo, the people of the plain call it; it is where the final battle between good and evil will be fought, say some ancient texts. We are coming to those times, say those who believe in such things. But even they must concede, in the power of those texts which are the Word of God, that it is during a time most unexpected that calamity will come upon them. "For yourselves know perfectly that the day of the Lord so cometh as a thief in the night. For when they shall say, 'Peace and safety,' then sudden destruction cometh upon them, as travail upon a woman with child, and they shall not escape. But ye, brethren, are not in darkness, that that day should overtake you as a thief." So says the first letter to the church at Thessalonike. Yes, there shall be wars and rumours of wars; yes, each age will think that they are worse than the age before. But listen: man has never had an age of innocence since guile first entered the mind. And at the same time, this world is not as fully evil as one might imagine. We live amidst hope, and the promise of grace. We have yet a time, although we do not know how long it might be. For those who do not believe in apocalypse and the fall of night, there is still time, and perhaps even more than we can hope for. For those who believe, be encouraged. The time is not yet at hand; if it were, the whole world would think that 'peace and safety' were on the horizon. But it isn't. And that's the interesting thing about Megiddo – it looks terribly peaceful there; and it will look awfully peaceful too in the world, just before destruction falls. But he was Benjamin at the right hand. He sought humility each day, and she was kind. A narrow path, his Master's way alone. We children thought that God might be a larger him. How can we remember everything now? It is hard to feel so mortal in October. Was just another permitted blessing. In sight. What is this blurring of vision? Eternity, and a brief story of his time. This is an astonishingly beautiful piece about the evolution of the Chinese written language. What caught my eye as I trawled the memetic ocean for fish was the interesting last paragraph of part 3 of the article, which begins with, "Nowadays, it is Chinese chemists who are the best at creating characters." The funny thing is that I too am a Chinese character. I can't speak or read it well, but I can think in it with some effort, and I can do a fairly superficial gloss of a Chinese poem with a little more effort. I eat noodles everyday, and if I cook pasta, it is with the sparing hand of my late great-great-grandmother. It is likewise (despite occasional frenzied bouts of extensive book-burning) quite Chinese to respect the written word and to treat with reverence paper that has writing on it. But in this era, the lack of respect that people show with their shoddy handwriting somewhat lessens the respect that one is inclined to show the written word. Bluntly: if you write elegantly, I would be more inclined to examine what is written with a conscientious eye, more inclined to annotate or correct the writing with a meticulous hand. This is not to say that I show bias in marking (for example, examination scripts), but that the attitude with which I approach the script is somewhat informed by the visual impact of that script. It is like watching a dancer. Some dancers have arched legs, which give power and thrust; some have straight legs, which is unusual (think about it). But watch, with an unbiased eye, the elegance of a grand battement en cloche in which the dancer, perfectly upright and still and controlled, lifts her leg high and swings it back and forth (somewhat as in the proper and memorable can-can); it is that elegant control which commands respect, which can intimidate the censor of the eye. So too the writing on a page. The formation of each letter, conveying prose of excellent sense, in well-chosen words; this commands me. And oddly, despite the Latin, the Greek, the French and Italian that I sometimes use, it is the Chinese character in me which allows this. This is one of those infamous Theory-of-Knowledge type webpages on which I can spend unconscionable amounts of time. For those of you who can't be bothered with Kripke's objections to Description Theory, let me just say that the naming of names is important. Time and again, in all the stories which are foundational to culture and society, the name of the protagonist carries significance beyond mere labelling. Writers of speculative fiction turn to atlases and name-books for inspiration too. (Did you know Gondor was a place in Ethiopia?) Computer programmers are more literal, as you can see here. Growing up, I thought it would be interesting to name my firstborn after the late Michael Coney's Celestial Steam Locomotive. As I look back on those halcyon (but sometimes also rather fevered) days of speculation and wild imagining, I cannot help but feel no twinge of regret at all. I realised there was a thin border between naming for effect and naming for affect, between romance and comedy. T S Eliot stalks back and forth over that line in his 1939 poem The Naming of Cats. But what then to name a child (assuming one exists, of course)? It's a funny thing that names eventually distance themselves from their original sources. Who thinks of Stephen as a crown, or Basil as a king? Who looks at Felicia, thinking happy (even if she is indeed so); or Jennifer, thinking white owl? Eventually, names fall into decay. The girl named Nur does not evoke radiance; the man named Edward guards no hoard. Yet, there is still power there. Rebecca still binds; Abraham might still be father to multitudes. What on earth would you think of a man who named his sons warlike defender and immortal soldier? Names are powerful, and even in these careless days when parents name their children in perverse and unmentionable ways, it pays to be careful when at last you bring yourself to the naming of names. When we speak of disappointments, we sometimes forget about what that really means. The implicit appointments of which we speak are not the appointments to rank or office, or the meetings we arrange with others, or the legal designations of power and status. Rather, we speak of furnishings and embellishments, for these are what appointments are in the context of disappointments. A disappointment is the stripping away of something which we had used to furnish our emotional house, the rooms of our dreams and aspirations. We rarely use that phrase 'luxuriously appointed', but in such a context, 'disappointment' would refer to the removal of such luxury, and the reduction of our rich imaginings to drab reality. In like vein, we occasionally forget that disillusionment is often positive, regardless of our religious or philosophical leanings. When Niels Bohr was asked what the complementary inverse of Reality (Warheit, 'truth') was, he replied, "Clarity (Klarheit)." He meant that the more we seek reality, the less clear things become (1, 2). To be disillusioned is to be reft of one's illusions, to somehow enter a state of clarity without forsaking reality. This is a difficult trick; it is as difficult to be disappointed of one's appointments without being disappointed in the wrong way. And so we return to the iron city of Dis. Somehow, we must be disillusioned of the glamours and fakes which surround us, but not be stripped of imagination and the power of creation. Somehow we must be disappointed without losing heart, without taking the loss of prettiness as a loss of self. Somehow, we must be able to absorb 'dis' without succumbing to Dis. I take heart from the encouragement I have received from those whom God has given to me for friendship and support. I am heartened, which is the same thing, but made simpler. I am enjoyed, made more joyful; I am enabled, made more able. And through all these great gifts of God, I gain and am renewed. I can't help being the 'teacher' type. When young, I used to compile book lists for people who wanted to read up on stuff. This is probably attributable to my father, a lovely person who, on finding out that I am scheduled to preach a sermon or present a paper, will automatically (and with totally unsolicited care, great skill, and uncomplaining effort) drop off a bunch of relevant books at my flat. And not only that, he'll do it for any of my friends whom I have mentioned in passing. In that spirit, I'd like to present a sampling of some of the websites I read for heavy, daily, and light purposes. (Yes, they now sound like a range of feminine protectives, but let's not go there.) No local blogs (we all need protection sometimes)! And I have also left out reference sites and sites which might indicate too strong a bias (one way or another) for particular strains of politics, religion, or other contentious memetic reservoirs. By heavy I mean that you need a few hours and the will to think about what you're reading. Sometimes, you need these because the material at hand is intrinsically dense; sometimes, because there is just a lot of it. Edge is probably heaviest. You get an inkling of this the moment you see their masthead mission statement, which begins with: To arrive at the edge of the world's knowledge... It is an appallingly educational site. Perhaps a bit biased towards the sciences, it is unique in pulling everything inward around that mighty scientific vortex and trying deperately to pound meaning out of it. Slate is next. It's like New York on a website. It is the digital medium's most NYC-like website, I think — by which I mean that it has everything in it, both repulsive and attractive, sometimes both plus weird and offbeat, sometimes all of that plus vibrant and (on occasion) virulent in its range of wonders and how they affect your brain. Wired is almost like that. It's like Slate in the odd and probably illusory way that UCLA is like Columbia. Wired isn't as good, but it is good at what it does and at digesting it so that you can re-digest it. By daily I mean just that. I look at these sites at least once a day when there is time. I have to apologise in advance. Some of you will never recover from these revelations. Soccernet is my favourite site for the world's favourite game. It never ceases to enthrall me, this game of living chess with pieces who change roles all the time in pursuit of the ball, and putting it in the net. Chessbase is the place I go to quickly catch up on chess news. Chess has always been my other favourite game. It's a lot like football, but that's a matter for another post. The Linux Game Tome at happypenguin.org was recommended to me by a friend named Burn. It's a great place to see what's new in the world of open-source. By light I mean sites which I often look at, when there is time, or which are easy and require little effort to scan through. Freakonomics is where I brush up on my rusty economics and find out that sometimes not only is it rusty, it has crumbled away. Very engaging, the way these fellows look at the world. Guy Kawasaki is a famous Apple evangelist I've admired since I first encountered him decades ago. He has many interesting things to say about corporate life and stuff in general. Tomorrow, like its intellectual cousins Today and Yesterday, is a place to go to when you just want to find out what's juicy about living where we live. No disillusionment is possible when one never had illusions; no disappointment is possible when one never had appointments. Dis is an iron city, and it trades in the misery of souls. Yet, as Virgil, Dante's guide through Hell, is wont to say, "Where will and power are one, so let it be. Ask now no more." It is the Divine will that sustains us, the Divine power that impels us to the greater heights. And so, we are not slaves to Dis. I have no idea why people think I'm bitter about anything. I'm not. Caffeine is indeed good for you, strange things do indeed happen on the internet, and sources of theobromine might indeed be the bitter fruit of slavery (as yet unresolved even in 2006) — but I, personally am not a bitter person. Being more sweet than bitter, I apologise to the legions I have led to sin through the rite of coffee-drinking, I apologise for the vagaries of the net which led a veteran blogger to think (and apparently, think for more than a year) that I had borrowed a handle, I apologise for liking chocolate. In my defence, I must say that I've been drinking coffee as an antidote to migraines since 1983, been on the Internet (or its precursor netlets) since 1988, and I've loved chocolate for a very very long time. I apologise, sincerely and without reservations. Or apologize, for the more pedantic among us. I am especially mortified about the handle incident. These things happen, but it's a little like having two people turn up at the same party in the same outfit and being mistaken for one another. It doesn't help that these two people are very different but have enough overlapping interests to cause confusion. And I guess I should wear my trousers rolled. In fact, I should dance around in robotic madness (frenzy?) as I watch England saunter off the pitch with a 4-0 lead over Hellas at half-time. I'm not sure if I'm happy or not. But whatever it is, I'm not bitter. I would ask what my light is there for. Mind opens soul to the sacred name. This is a relic of a bygone era. I don't think many people will remember the Galactic Saga series of computer games from Broderbund Software — Galactic Empire, Galactic Trader, Galactic Revolution and Tawala's Last Redoubt. In those days, the coding was very simple because most of us had 48K of system memory, including video and everything. Yes, 48 kilobytes was the sum total of the universe for the Apple II Europlus. The story was a simple one. Admiral Julian du Buque conquered the universe for the Mad Emperor Tawala, only to be stripped of his honours and relegated to the life of a simple trader. Being a wise man who surrounded himself with clever allies, he rose to pre-eminence in the merchant class and led the revolution which finally toppled Tawala. The Mad Emperor fled the homeworld of Galactica, and his traces were covered up by a galactic storm. Tawala was finally caught and executed by the rebel leader Benthi on the distant world Farside. I have romantic memories of that game. For a start, I played it for hours. I was du Buque, despite the green phosphor which betrayed the lack of reality. But suspension of disbelief was always a strong personal suit, and I persevered. Revolution was my favourite game of the quartet. I seldom lost. One world of the entire simulated galaxy, however, always caught my eye. Moonsweep. Was it 'moon + sweep', or was it 'moons + weep'? Either way, I could imagine a history of that world which evoked loss and pain, beauty and nostalgia. To this day, I remember Moonsweep. I wrote poetry about it, and its song continues to echo in my aging ears. Make of this what you will. Henry F Schaefer III once gave a lecture on Stephen Hawking, the Big Bang, and God. Of course, I had some interest in the matter, as in all things Hawking. But the main point of the lecture is that science is limited. It is happy when probing things it can encompass; it is happier when it finds new things it can encompass; it is terribly unhappy when faced with boundaries (natural or man-made) which cannot be breached. It's a nice topic for a lecture. I shall do one myself, one day. But for now, I shall continue to reflect on the fact that black holes are the closest thing to dark chocolate for allowing one to chill out and make time last forever – at least to the subjective perception. The difference between caffeine and theobromine is one small group of atoms, a carbon and three hydrogen atoms, dangling like lost teenagers off the quayside. Caffeine has three of these boundary-breaking groups, theobromine ('food of the gods') and theophylline ('leaf of the gods') have only two, the rest of the molecular corpus remaining the same. And that is the difference between energetic chaos and relaxed comfort. Two heaped tablespoons (that's perhaps four level tbsp if you're like me) of fine chocolate (Godiva, or failing which, Ghirardelli - which I find a little too sweet) should be gently transferred to a ceramic mug and stirred dry to ensure the powder is loose and does not clump. Stir in two light tablespoons of cold low-fat milk, whisking until it seems homogeneous (but of course, is not). The mixture should be a deep glossy brown in colour, and slightly frothy in texture, filling only the bottom one-fifth (or less, if you're greedy) of the mug. Very slowly, add a little warm milk and a lot more hot water until the mug is full. The froth should survive to the bittersweet end. Sugar should not be added at all. At all. And thus can the determined heretic escape the strictures of orthodox caffeinism, cleave from his extra methylation, and reach a more rarified plane of existence. Doctor claims 40 percent of World of Warcraft players are addicted, reads the headline. It's a terrifying number if true – it means we have 2.6m mentally ill people just from World of Warcraft alone. But the article makes a very sensible conclusion which is simply this: all humans get addicted to something if they don't have a balanced life. Think of it this way. You are pulled in many directions by legitimate activities: work, rest, food, drink, exercise, play, and so on. It's only when one of these takes up too much time, and leads to the suboptimal performance of your social unit (family problems, co-worker problems etc), and you still can't let it go, that we call it an addiction. Yes, there are physical addictions – to morphine, caffeine, heroin, nicotine, sugar, salt, and such. These are quantifiable, as ingestion leads to directly measurable effects. But the activity addictions are socially calibrated – if you are addicted to work, most people don't complain; if you are addicted to video-game playing, it's bad unless you become World Champion, at which point your government might give you a sporting excellence grant. If you are addicted to exercise, it's a physiological process which is often a true addiction with physical stress and bad consequences, but most people think it's somewhat desirable. I have to agree with the article's conclusion. The best defence against addiction is not drug-based treatment or mental-illness classification and negative counselling. The best defence is positive encouragement for a balanced lifestyle. Or at least, as balanced as we can make it while still being socially functional. That's coming due for tax. It is not possible to describe the night. Yes, you will tell me, many have done it, many have written beautiful prose and poetry about it. No, I tell you, no; they have all described nights. They have spoken of goddesses of night and moon – Ratri, and Nyx, and fair Diana. But, no; nobody can describe the night, for each night is different, and even if you were able to integrate them from creation to infinity, you would find them indefinite. I sit here in the morning so early that it is still night, and seems that it will never be dawn. The rain is like angry angels, their words like spears of water, like a pre-Raphaelite darkness, like benediction spoken like a curse. The rain smells of minerals, of ions and burning from the upper air, air so high that it knows nothing of me. And the scent as of curing tobacco that is the burning of Indonesia, that scent is hanging no more, but has etched itself into every lash of the wind. There have been many nights like this. As I age, I have come to know that they are alike, similar – but not the same at all. Each is like a masterclass performance of a cello concerto, with the plaintive humanity and the pure note forced into beauty by the vibration of wood and string – and each one as different. It is not that the cellist or the instrument change from night to night. It is that each night is a different hearing of the same theme. Each night can be enigmatic in its variation, like Elgar made wild by Vaughan Williams and then losing its mind to Paganini, and yet sometimes like a calm sea by Rimsky-Korsakov. And some nights are warmer than day, more friendly than a hot meal, promising haven against the fall of darkness or the winter of discontent. I am no dancer, no bright light upon a brooding stage. My pen illuminates no manuscripts in gold or scarlet or true indigo. But my eye, though adapted to darkness, paints hope against the gloom. In all these variations, whether of wildness or warmth, there is hope for the future, for the young, for those who resist the lofty sadness of approaching age. As death falls like a drunken cavalier all over the pavements of Lebanon, we mourn those who have lost everything with their lives. Yet every night, no matter how chill, cannot be filled with nightmares alone. There will be dreams of powerful beauty and visions of new and glorious life. And some of them may very well come true. Outside my window, the rain has stopped. God bless us all, and good night. My earliest memories of science education are odd, chaotic, fragmented, and utterly beautiful. I was born in 1960s Cambridge, in a period rife with intellectual foment, ferment, fervour and flavour. My neighbour was 'Uncle' Stephen. I never really knew him, except as a funny, interesting person who looked very different from most adults. Dad told me 'Uncle' Stephen was very bright. We were (and continue to be) ordinary mortals, and knew little of such brightness. But even Mum was impressed when A Brief History of Time rocketed up the bestseller lists, defying literary gravity. My father is a military historian. He used to say, "I teach war during weekdays and preach peace on weekends." One of the great advantages of having an historian as your immediate ancestor is that hardly anything gets thrown away. Dad turned out to have been a science-geek in his youth; he had stashed away piles of an ancient publication called Understanding Science in teak cabinets (where neither moth nor rust corrupt very much), against the day when one of his descendants might turn out to be a science-geek too. He also had closed glass cabinets of Airfix models of military aircraft and ships. My mother teaches English language and literature. She planted a garden of the mind that has never died. It was from her that I learnt how to arrange a library, sort books by author and theme or subject, ponder over what to do when an author turned out to be disconcertingly multi-disciplinary (where to put Isaac Asimov's Guide to the Bible, for example), and keep shelves clean and tidy. She never admits to having scientific tendencies, but she taught me to analyse texts and events and answer that most deceptively simple-sounding of questions, "What is this all about?" I wanted to be an astrophysicist when young. Arthur C Clarke was my inspiration at first; he was soon followed by Heinlein and Asimov. I drew designs for slow starships driven by nuclear fusion and ion-sails. I was excited by the thought of a starcraft blasting off on a pillar of H-bomb ('thermonuclear device' sounds too dull) detonations. I encountered sociological science fiction and dreamt of becoming a xenosociologist. Meanwhile, I had discovered potassium permanganate. The deep purple salt was used by my paternal grandmother (favourite question: so you think you're very clever, ah?) to wash fruit before they could be pronounced clean enough to eat. I never thought it unusual that rows of toxic chemicals should be present in the kitchen; grandfather was a physician whose pharmacy was full of bottles marked Tinct: Bellad (alcoholic extract of the belladonna plant), Aq. Fortis (nitric acid), and dozens of other alluring substances. We were brought up to examine before touching, to listen before probing, and to resort to technology last. I was hooked. It was 1977. I was in primary four and my sister had just been born. That year, I memorised the Periodic Table (it was easier then, only 103 elements) and cracked open my first organic chemistry text. I remember bugging my cousins (then in their final year of pre-university education) because I couldn't figure out how on earth manganese ever got to an oxidation state of +7. Organic chemistry was easy, it was always about counting to four; transition metals bugged me a lot. Occasions like that informed my ideas on science education. I realised that real science was difficult to teach, difficult to learn. Yes, it is true that we grow up observing and questioning. It is totally false that observing and questioning are the basis of science alone, or that observing with questioning alone forms the basis of science. You also need the capacity to invent ways of finding answers, refining them, and working out what to do with them. And this does not even consider the question of whether the answers are correct enough to be useful, or if they can ever be useful at all. And if so, to whom? In the end, after 14 years as a science educator, after eight years as a leader of science educators, I am left with two main questions which I strive to answer everyday. And despite my illustrious male ancestors and influences, I am forced to admit that they come from my female ancestors. From my dear (and sadly, now-deceased) grandmothers, both paternal and maternal: "So you think you're very smart, ah?" From my dearest mother, who made me a teacher while attempting to deny any such insidious influence and verbally discouraging such a course of development: "What is this all about?" I will cook tonight. It will be a pasta in mushroom and olive sauce. The pasta is innocent. It will only barely deserve the quick soak in salty butter and boiling water that it will receive. I shall grind black peppercorns into olive oil, heating it slightly to extract the flavour. I will slice little red chillies to give a sweet and fiery body to the sauce. I will soak black olives till they lose their salt and I can chop them up. I have thin-sliced mushrooms in spiced oil. I will stir them in last. The whole dish will be washed down with a simple little Cabernet Sauvignon which I picked up for fun. And it will all take fifteen minutes to prepare and about the same time to eat. Thus will I gain back what the world takes out. Thus will the balance be maintained. Why learn to read Latin? I have many answers, given at many times in many places for many reasons. But one of them is that the Romans had a large segment of culture obsessively dedicated to debate and rhetoric, from which many persistent things have come. And some of them are timeless. Here is one such gem. From the Ground you come, and to the Ground you will return. 1. The Bean is One, and Many. 2. The Manifestation of the Bean is most often through the Ground. 3. The Excrescence of the Ground contains the Essence, which inspires the Mind, stirs the Heart, and brings Life to the Body of the Consumer. 4. The Essence is dispersed, and the Bean is consumed, but the Consumer will return. 1. Espresso: The concentrate (or consecrate) Excrescence of the Ground, which is closest to the Bean; it is produced by the mediation of the Steam, which courses through the Ground and emits the Essence after a specific Time and at a specific Temperature. 2. Americano: The watered Excrescence of the Ground; it is born in Steam and diluted with Water, giving a weaker Flavour and a longer Finish. It originates from the Heathen, who although possessing Power, have little Taste, and no Strategy for making an Exit. 3. The Turkish Heresy: It does not divide the Ground from the Essence, but mingles the two and requires the Discernment of the Consumer to separate them. In that Respect, it resembles its Origin, always unsure of its Place between Asia and Europe. 4. The Question of Sugar: Only the impure of Heart are drawn to Thoughts of Sugar; the addition of the Colourless Crystals adulterates the Essence and weakens the Heart; yet, it is true that the Colour remains the same—even if Brown Crystals (oh, the Impurity of it all!) are used. 1. Con Panna: With a minor Head Adornment of whipped Cream; this Perversion is equivalent to the Practice of Gilding the Lily in Art; that is to say, adorning that which by its very Nature needs no Adornment. It might very well in this Respect, require Atonement instead. 2. Macchiato: With steamed Milk and diluted with Water; a kind of mixed Baptism is involved that confounds the Substance and weakens its Power. There are few things worse, and yet, a Starving Man will eat Anything. 3. Cappucino: With its Rituals of major Head Adornment with Cream and yet more Adornment with Shavings of Chocolate and immersion in Milk, it is a wonder that Cappucinists do not also sing while they drink or bow down to Cows. 4. Mexicano: This is true Paganism, involving a Foundation of Chocolate (that great rival of the Bean) and Head Adornment of Cream and also Shavings of Cinnamon Bark; one might as well not be partaking of the Bean at all. We who live to serve, live to serve Coffee. We who serve Coffee, serve a higher calling. We are not Tea People. The geese always know when trouble is on the horizon. They rise in dirty flocks from the muddy ground, honking as if they were mastiffs with colds of various flavours. They gaggle and giggle, flirting with disaster and trouser legs, nipping with a bite fiercer than the wind in the false air of the late summer. The geese know, and so do I. There is the faint smell of stored cordite. The clouds roil just barely out of the range of our shared vision. The reckoning is nearly upon us. It would be nigh, except that if it were that close, it would be night. The poetry is concealed in the prose. The stage is set, but the actors are still in the wings. They seek haven, and they will find it, but not just yet. There will be blood shed upon the snow before it is done, each droplet hungrily eating its way through the cold powder. Too much trouble has been kept aside for a rainy day. Too much vengeance is unrequited; too much hatred has been left without propitiation. If we are not cleansed, and soon, we will be as Babel. The tower will fall, the speeches will fail, the languages will be broken and the faithless (and faithful alike) will be scattered. The green book is called One Man's Vision. We all make sacrifices. We all say we do, and we do. The great question is: who exactly are we sacrificing to? Is it worth it that we have burned our youth and burnt our youth? Was it ever worth it to make a great endeavour? Five generations have come and are going, and each had no occasion to doubt. The last trees will be kept caged, in case they escape.